The Chomsky Reader brings together for the first time the political thought of American's leading dissident intellectual—“arguably the most important intellectual alive” (The New York Times). At the center of practically every major debate over America's role in the world, one finds Noam Chomsky's ideas—sometimes attacked, sometimes studiously ignored, but always a powerful presence. Drawing from his published and unpublished work, The Chomsky Reader reveals the awesome range of this ever-critical mind—from global questions of war and peace to the most intricate questions of human intelligence, IQ, and creativity. It reveals the underlying radical coherency of his view of the world—from his enormously influential attacks on America's role in Vietnam to his perspective on Nicaragua and Central America today. Chomsky's challenge to accepted wisdom about Israel and the Palestinians has caused a furor in America, as have his trenchant essays on the real nature of terrorism in our age. No one has dissected more graphically the character of the Cold War consensus and the way it benefits the two superpowers, or argued more thoughtfully for a shared elitist ethos in liberalism and communism. No one has exposed more logically America's acclaimed freedoms as masking irresponsible power and unjustified privilege, or argued quite so insistently that the “free press” is part of a stultifying conformity that pervades all aspects of American intellectual life. In a lengthy interview with the editor, Chomsky discussed his thought in the context of his personal history. 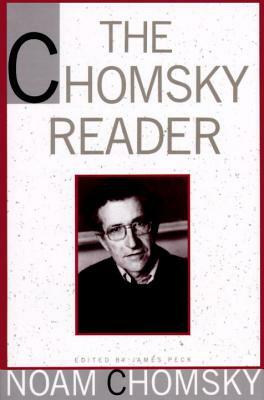 NOAM CHOMSKY is Institute Professor (Emeritus) in the M.I.T. Department of Linguistics and Philosophy. His work is widely credited with having revolutionized the field of modern linguistics. Chomsky is the author of many best-selling books, including the New York Times bestseller Hegemony or Survival, Failed States, Imperial Ambitions, What We Say Goes, and Hopes and Prospects. JAMES PECK is the editor of China's Uniterrupted Revolution and The Indochina Story, both published by Pantheon.